Home Unlabelled Infiniti to start produce only electric cars from 2021. Infiniti to start produce only electric cars from 2021. With the exception of SUV's, Infiniti is going to produce only electric cars from 2021, following VOLVO releasing a similar statement stating that, it's gonna produce only electric cars from 2019. Even Toyota is going to produce fully electric vehicles in few years. But, they will be producing combustion engines as well. By looking at the senses, we are almost certain, that this changes will make combustion engines to non existence, and it might take a decade or two for the non existence of gas consumption vehicles. 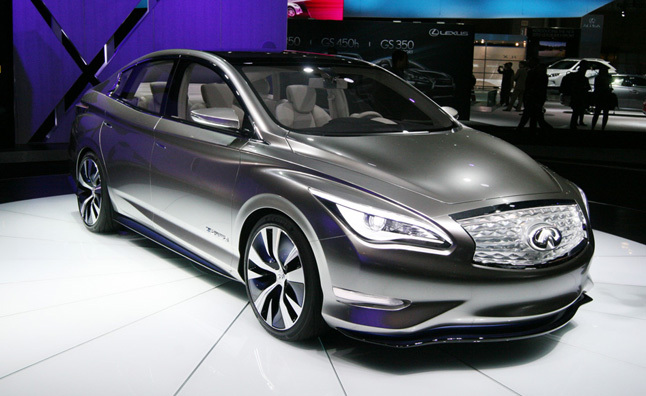 Hiroto Saikawa, CEO of Nissan stated electric cars are a good fit for Infiniti brand. And the brand is switching to fully electric vehicles, and may be a fewer number of fuel consumption vehicles. "This is going to be a unique sales point for Infiniti," he said at the event, and they also introduced Leaf redesigned edition, which is an electric car from Nissan. According to Autodata combined Nissan and Infiniti, they had 9.2% car sales of entire US car sales, and it is expecting half of the sales go electric by 2025.